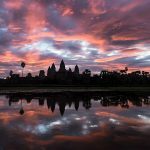 Get a closer view of epic Cambodia in 8-day culture tour with all the famous destination, food, and exploration. 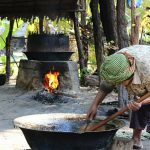 This one-week itinerary may bring you to the village life of the rural countryside to get to know deeply the cultures and customs of Cambodian as well as the Khmer Kingdom. 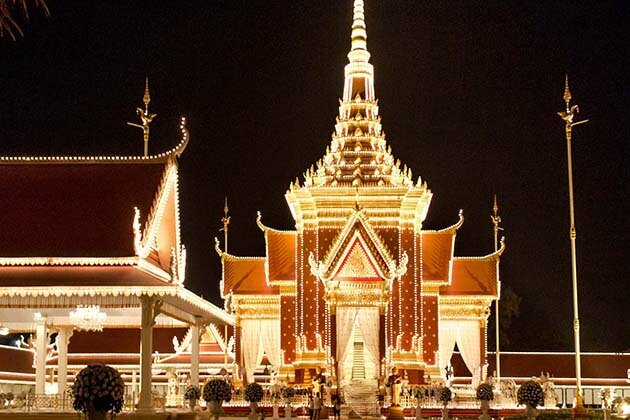 Welcome to Siem Reap, the first destination in your 8-day itinerary. 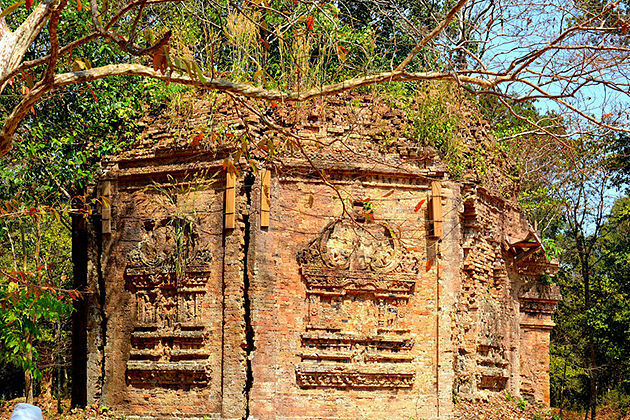 This vibrant city is your first step to explore the unique Cambodian culture, the ancient Angkorian temples. 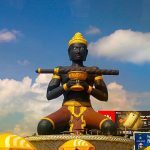 Once you arrive in Siem Reap International Airport, our guide will pick up you and take you to the hotel for check-in. Spend a short time to refresh yourself after a long flight before immersing into the eventful nightlife in Siem Reap. 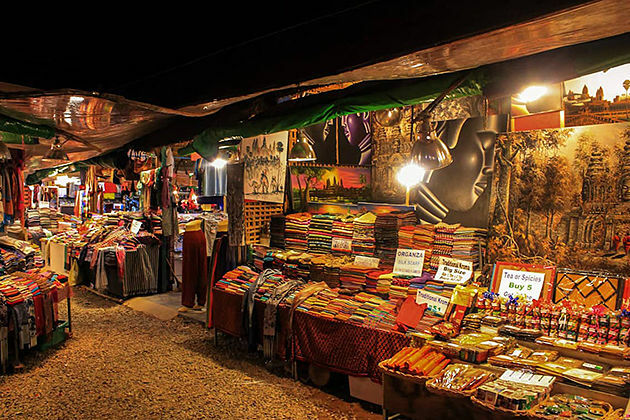 Do some shopping in the Angkor Night Market to adapt to the Cambodian lifestyle and culture with the tour guide who would like to show you the useful information about this area. Have dinner at a local restaurant then overnight in Siem Reap. 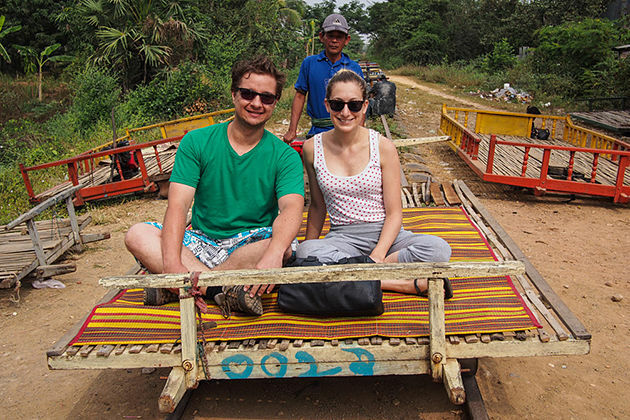 Begin your exploration of Angkor Wat by an open-air remork tour. 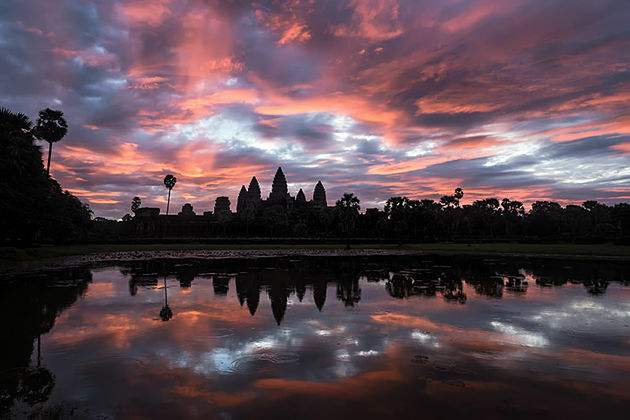 Unlike other temples facing the east, Angkor Wat faces to the west. For the best Angkor Wat’s visit, you should be here at 5 am to see the sunrise. Then come back to Phnom Bakheng or the Terrace of Srah Srang at 5 pm to watch the spectacular sunset. 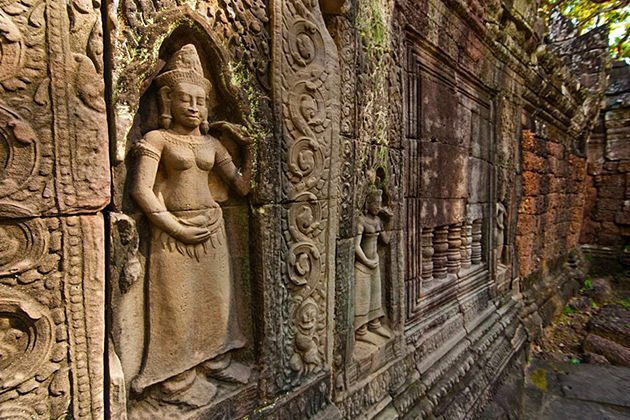 Continue your rework tour to the majestic Ta Prohm temple to highlight your culture itinerary. Ta Prohm gains its reputation as “Tomb Raider Temple” overgrown by giant tree roots which create an otherworldly view. 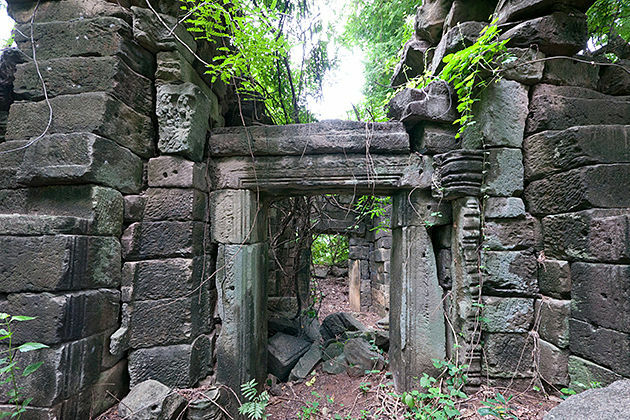 In the afternoon, head to the ancient city of Angkor Thom, the last capital of Khmer Empire. 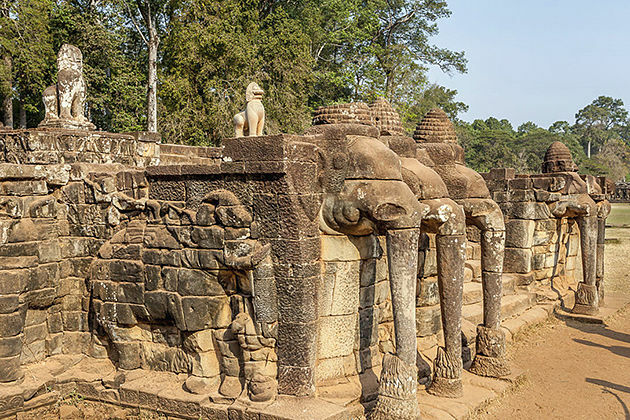 Discover the South Gate carved with elephants and four giant faces. 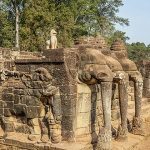 Next, move to the Bayon Temple at the heart of Angkor Thom, where include 54 towers with enigmatic faces which represent the 54 provinces of the Khmer Empire. Go on to the Terrace of the Elephants and the Terrace of the Leper King. 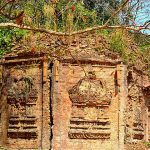 Today, your itinerary may start at 7:30 am to transfer to Preah Vihear with a 3-4 hour drive in private vehicle. On the way, we will stop at Trapaeng Prasat Temple bringing a stunning vista of Preah Vihear mountain. 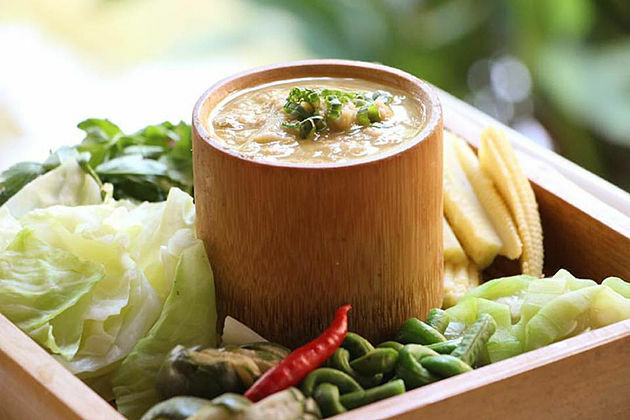 Check in your hotel and enjoy lunch before going to visit the Hindu temple of Preah Vihear located on the edge of a plateau with the local guide. 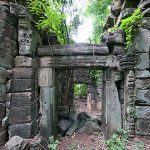 After breakfast, leave Preah Vihear and toward the rural countryside of Cambodia, Banteay Chhmar. 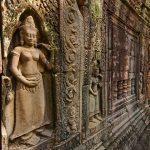 One of the most attractive features in Banteay Chhmar is the impressive number of bas-reliefs on the exterior walls of the inner sanctuary. Have a picnic lunch before return to the village. In the late afternoon, it would be great if you go sightseeing in the surrounding countryside to see the rice paddies and sugar palm plantations. 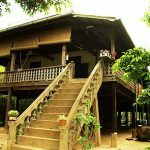 Afterward, you may have a night on an intimate homestay where your accommodations will be a traditional Cambodian style to experience local culture and customs. Have breakfast with your host family. 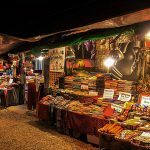 The local guide may take you to the local market and explain several aspects of traditional life in a village including, fishing, beekeeping, and weaving. 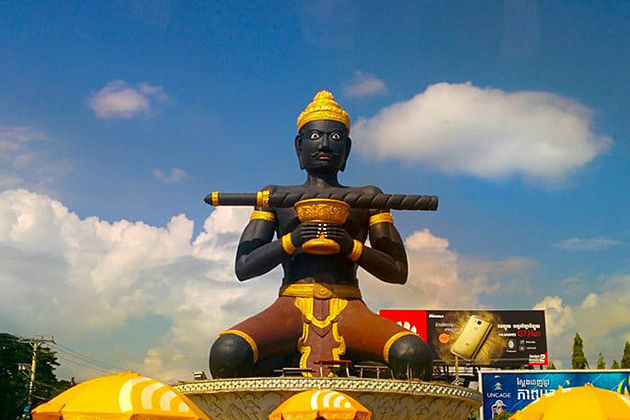 Next, you may have 2-hour drive to Battambang, the second largest city in Cambodia. 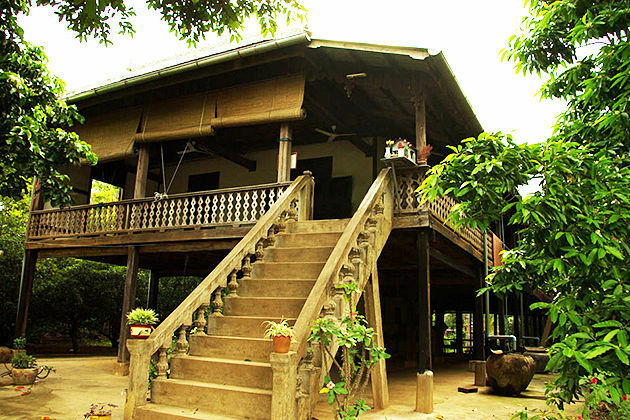 In the afternoon, spend some time for the walking tour to discover the Battambang’s history. The early 20th – century colonial architecture has been also best-remained. 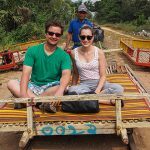 There are two main activities you must-do in Battambang: take a cycling tour to the local villages in the morning and experience Bamboo Train in the afternoon. On the 30km bike riding, you have a chance to get closer to the beauty of the local countryside, learn how rice paper is produced. After lunch, explore the Bamboo Train station which could bring you plenty of exciting experiences with sitting on a cushion which we will bring along and travel in 8km to the next station. 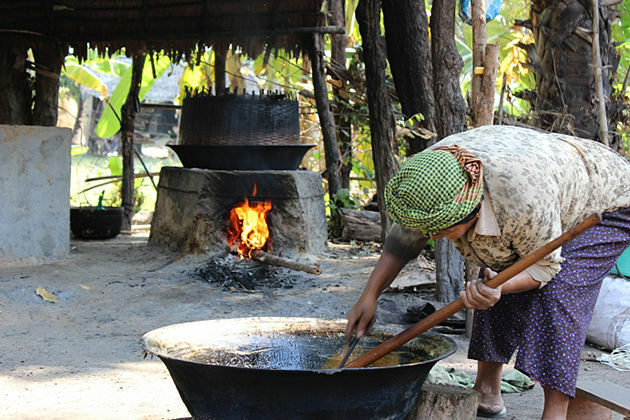 Enjoy the last day in your culture itinerary with a walk-guided tour to the “Ancient House”, the oldest-standing wooden Khmer house in Wat Kor Village, to explore how the Khmer milled their own rice in olden times. Afterward, transfer to Siem Reap International Airport for departure flight.